We begin today’s Weekly Roundup in the FT, with the Chart That Tells A Story. 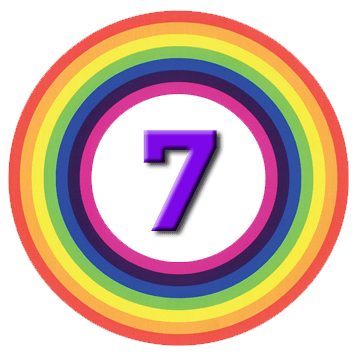 This week it was about investment trust share buybacks. It was a quiet week in the newspapers and magazines, with everyone focusing again on Trump and Brexit. So this week’s roundup will be shorter than usual. To compensate, I’ve introduced a new feature – a selection of the best links that I’ve tweeted out to my followers this week (see below). 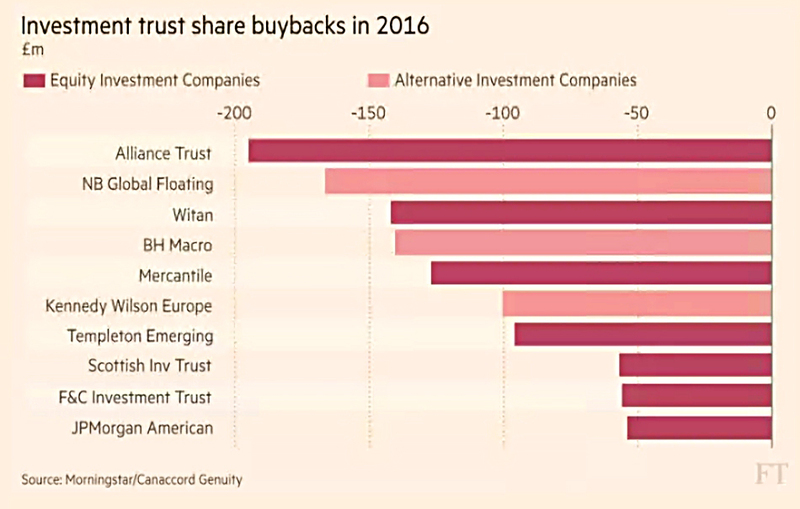 Aime Williams looked at investment trust share buybacks during 2016. Although the chart below shows only the ten largest buybacks, the print edition of the article showed thirty. Twenty-two of these were trusts that invest in stocks. Share buy-backs happen when the shares of a trust are undervalued. By cancelling the bought-in shares and reducing the number in circulation, the value per share will increase. Investment trusts often trade at a discount to their asset value, and buybacks can shrink this gap. If a significant discount exists, trusts would find it difficult to raise new money (since investors could buy cheaper shares in the market). Alliance Trust came top of the list after a strategic review and the appointment of a new management team. But the trust still trades at a discount of 5%. Much lower down the list (and not on the chart above) was P2P Global Investments, which also wanted to reduce its discount following a period of unpopularity. John Authers looked at the potential trade wars between the US and Mexico and China. He concluded that Mexico could not win a trade war with the US, but that China might. And an even bigger obstacle for Trump is the FX markets, and the dollar’s exchange rate. A stronger dollar will cancel out all other measures designed to make the US competitive. Mexico can’t face the humiliation of paying for the border wall, and it doesn’t look like Trump will back down. The stand-off has driven the peso to an all-time low, and the Mexican stock market has underperformed all other emerging markets since Trump began his campaign. 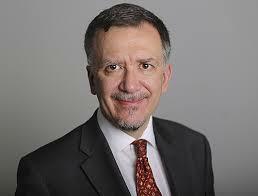 In response the Mexican central bank has been hiking rates, squeezing the economy. China has made it harder to remove capital from the country, in anticipation of a trade war. China is at more risk of a crisis than the US, which would mostly suffer supply chain disruption. Chinese imports would be more expensive, but Chinese firms only supply 3% of the US economy directly. The trade war would lead to lower growth in China, and probably a currency devaluation. Higher market volatility looks likely, the US dollar should rise and US bond yields will fall again (flight to quality). This will make US exports difficult, and cause problems for emerging markets with dollar debts. John recommends that investors spread their bets. Over in the Economist, Buttonwood looked at the effect of rising interest rates on asset correlations. Markets have been dominated – and propped up – by central banks’ monetary policy since the financial crisis of 2008. This has driven up asset correlations as markets went “risk-on” or “risk-off” in unison. In FX markets, the “carry trade” of borrowing in currencies with low interest rates to invest in those with higher rates (pocketing the carry) was replaced by a rule of “sell the QE”. But now interest rates are on the rise, in the US at least. And over the last few months, asset correlations have crashed. Stocks have risen, and bonds have fallen. They are now back to the levels they were before the 2008 crisis. The expectation is that Trump will increase growth (good for equities) but also increase inflation (bad for bonds). US stocks and companies should also perform better than those in emerging markets. And in FX markets, the carry is back – the spread between 10-year US and German bonds is now more than 2%. But in the end, higher bond yields mean more expensive borrowing, which should be bad for stocks. And a slowdown – or even a crisis – in the emerging markets could spread to the developed world. As noted above, another risk is the strong dollar. The risk is that Trump will replace Yellen with someone more compliant, so that the Fed can work towards keeping a lid on the currency. This is a new feature that I’m trying out – links to some of the more interesting articles I have shared this week on Twitter and / or Reddit. You can also find the best of these links over on our Link Archives. Modern portfolio theory states that all investors should invest in the same global market portfolio and increase or decrease risk through the use of leverage or cash, respectively. In practice, investors appear to exhibit aversion to both leverage and cash. How do you know whether a multi-asset portfolio is worth the investment? No policy portfolio benchmark exists against which investors can measure their multi-asset investment strategy. Can the Shiller PE (also known as the cyclically adjusted P/E, or CAPE) be used effectively to directionally time equity market exposure? Profit warnings like this are an investor’s worst nightmare, often leaving them with no idea how to respond. However, research shows that, on average, when faced with a profit warning the wisest course of action is often to promptly sell. Living well on $40,000 per year is possible and I’m here to explain exactly how by going over all of our expenses during 2016. Later in the article I’ll explain why our spending affords us a lifestyle that costs most other people $100,000 per year. And I don’t think many would argue that a $100,000 per year lifestyle is a tough way to live. And finally, a depressing chart from the Wall Street Journal. 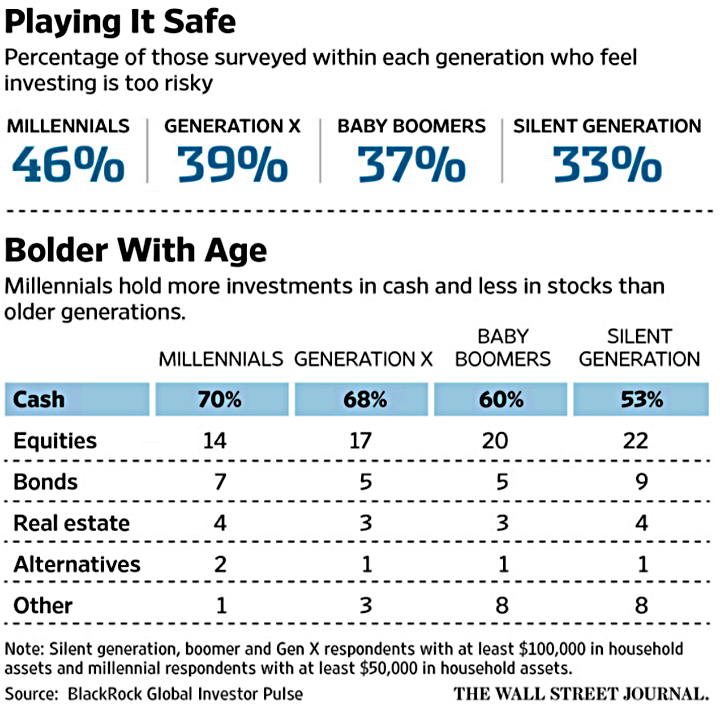 Despite having decades of investment time to profit from, millennials hold a greater share of their wealth as cash, and a lower amount as stocks, than any other generation. As you might expect, they are also the most likely to say that investing is too risky.